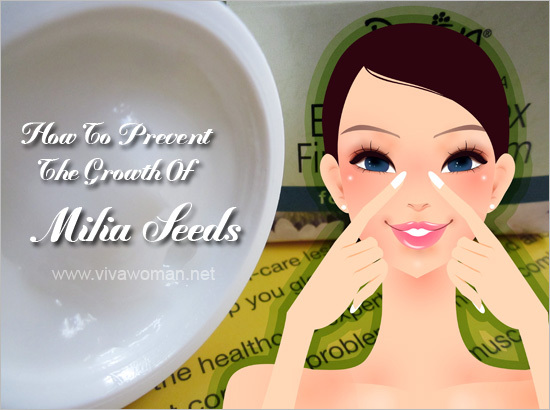 How to prevent the growth of milia seeds around eyes? An irritating and somewhat ugly milia seed has grown on my right eyelid and it was such an eyesore.Â Was, because I finally had it removed yesterday.Â Before I share withÂ you how IÂ got rid ofÂ it, let me first discuss what is a milia seed and how I gotÂ one growingÂ myÂ eyelid.Â Â More importantly, I’ll alsoÂ discuss howÂ we can possibly prevent milia seeds from growing around our eye area. According to information obtained from the National Skin Centre in Singapore,Â milia seeds areÂ white or yellowish white skin growths often seen on the eyelids or temple.Â Sometimes referred to asÂ superficial keratinous cystsÂ and are also called oil seeds by some,Â most of themÂ are small, hardÂ and resemble millet seeds, but newly formed ones can beÂ soft andÂ look like a pimple without an opening. Although the experts have said that milia seeds represent obstructed sweat ducts and hence are not caused by rich creams, I tend to think otherwise.Â Based on my experience, rich eye creamÂ do cause the growth of milia seeds around theÂ eyes and I believe thisÂ isÂ because theÂ cream is too rich to be fully absorbed andÂ hence clogging up the sweat ducts.Â However, having said that, I also want to qualify that for some people, the growth of milia seeds could be due to genetic reasons and has nothing to do with the products they use.Â In addition, milia seeds can also grow on other parts of the face, apart from the eyelids but it’s usually the eyelids that has the most due to the skin texture. So how can we prevent milia seeds from growing around our eyelids or eye area? First and foremost, check your eye cream.Â The skin around our eye region is really delicate.Â I would never recommend that you use your normal facial moisturizer on your eye area.Â It could be too rich.Â Even for eye creams, you got to check that it is not overly emollient that it cannotÂ be absorbed into your skin quickly.Â I made the mistake many years ago of getting one eye cream that was too rich and end up with someÂ tiny seeds below my eyes.Â Fortunately, IÂ discovered in time and stopped using the eye cream.Â Since then, I’ve been very very careful about what I apply around my eye area. 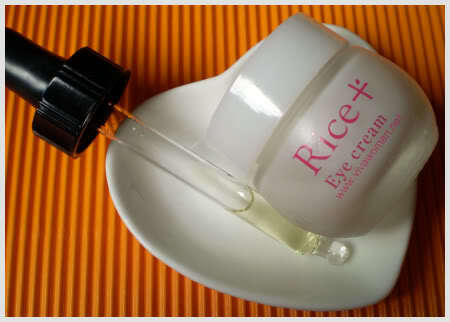 You should be using an eye cream that is light enough to penetrate easily into your eye area.Â If you think your eye cream is too rich, switch to an eye gel instead.Â Unlike eye creams which are more nourishing, eye gels are usually cooler and created to reduce dark circles, puffiness and tiredness.Â They are in fact most suitable to be used during the day when our eye area tend to accumulate more sweat and dirt.Â You canÂ actuallyÂ keep your eye cream for the night since we tend to perspire less in the night when sleeping. And very important, don’t use rich oil around your eye area.Â I’m quite certain the milia seed on my right eyelid was a result of my application of rose hip oil around the area.Â Although the instructions said the oil can be applied on the entire face, you’re best steering it clear from your eye area.Â The oil may not be so fine to be absorbed well and as a result, causing the growth of milia seeds.Â So now, when applying my rose hip oil, I make sure I do not apply around the eye area at all.Â Hence, be careful what you apply around your eye area.Â Your oil cleanser and eye makeup remover could be too oily too! So how did IÂ finally had that irritating milia seed on my right eyelid removed without leaving any scarring?Â Â I could have gone for a laser treatment but I didn’t.Â I could have approached a beauty therapist to remove it for me but I didn’t.Â Well, I actually removed it on my own withÂ the sharp end of a needle.Â That’s how the beauty therapists do it anyway but it’s not something I’ll recommend anyone to doÂ itÂ unless you’re really confident and comfortable about it.Â Moreoever, my milia seed was newly formed and had not hardened. But if you have milia seeds on your eye area that has hardened somewhat, I would suggest that you consult a dermatologist or seek professional assistance to remove them throughÂ treatmentsÂ including application of special medication or surface laser. Can grapeseed oil help rid milia seeds? Can you use oil around your eyes? 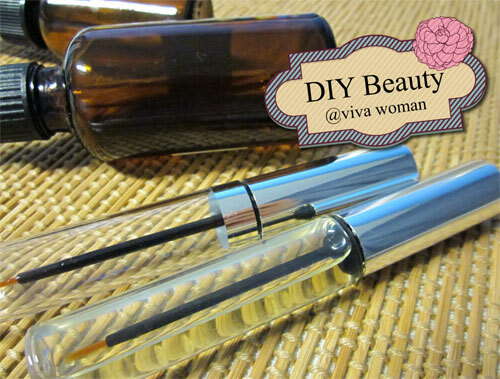 DIY Beauty: make your own eyelash growth serum What are dark eye circles and can you prevent them? I get milia when I’m hot, so basically, for six or so months of the year, I have them mostly between my eybrows. They go away if I’m not hot for a couple of days, but when I get hot again, they reappear. The hotter I get, the larger the milia get. I never go out in the sun, so that’s not the culprit (nor is sunscreen, as I don’t use it). It’s actually being hot that causes my problem. I try my best to not get hot, but that is impossible, as I’m generally uncomfortable in temps above 60 degrees. My aesthetician gets rid of them when I see her (but I can’t see her daily) and my dermatologist has no solution. Help! hi there. my boyfriend has this problem too. but its on his back.. what i will do for him is that i will apply dry baby powder on his back before he sleeps. but he refused to stop having hot bathe.. which i heard some people are allergic to having hot bathe.. maybe you should keep your face cool all the time and avoid warm water. I had read a write-up in Malaysian newspaper that an expert, Reiko Soo can remove all kind of milia seeds. I think she has a salon in KL. You may give a try! Where is the place? Got any contact no i can call? does anyone know of a gentle make-up remover i could use? I don’t use eye creams or moisturiser so it must be my make-up remover! try water base make up remover. simple eye remover is good. recently, there is this japanese water base make up remover(for waterproof make ups too) mandom express cleansing sebum which i have yet to try, but there are loadsa good reviews. google it! i mean the brand Simple. Mary Kay’s eye remover is the bomb. It works so well that you it our make up is light it take one try. i tried to squeeze them on my own but it keeps coming back. is it because i didnt squeeze them clean? other area around my face i have no problem getting rid of them. do you girls think its a good idea that i drop by one of the facial related shops to have them removed? cos’ i saw there were a few shops around my area provide services like that. i am hesitating because i am afraid it doesnt help or maybe leave scars … recently, i have more coming out which is very annoying having few extra bums around my eyes. Milia seeds could also be due to an internal problem. I read that it might be connected to our gut…but I can’t find the source now. Do you eat a lot of oily stuff? I can’t say too much about those services offered cos I have no experience. I would prefer to go to a dermatologist. i realized probably due to me running warm water through my face. how this problem started was years back i tried the wrong eye cream. my beautician told me if its not dry its hard to extract and so i have been waiting for years. i tried to extract it few months back but it came back with small ones. i cant take it anymore, i want it to be extracted. i heard its like how they get rid of the mole on the face. 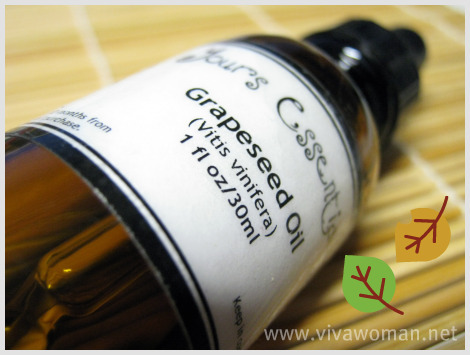 Grapeseed oil can help according to some of my readers. I used ordinary needle…best to sterilize prior to using. You can use denat alcohol or isopropyl alcohol for that purpose too. Does applying toner to the eye area cause milia too? And is there any cream to apply to remove these milia? I am a student and has no money to visit a dermatologist. I don’t think I can remove it myself with a needle because it is near my eyes. Toner shouldn’t cause milia unless it is oily or something. You can try using grapeseed oil as some have said it helps them. Milia is a hard keratin deposit under the skin. They do not grow inside a pore, but rather on top of the skin, hence why they do not have an opening. I’d you squeeze them or try to remove them without creating an opening, using a sterile blood lancet is what we do in professional salons, you could easily scar. If you can squeeze a white lump, without creating an opening it is not milia. Milia is NOT calcium deposits, or cholesterol deposits, these are different again. They definitely come from too rich products, using baby oil is a huge no no, and they are hereditary. I remove any milia I find on my face by opening the skin with a sharp needle, trying to create an opening for the milia to come out. I disinfect with rubbing alcohol and leave it be for 24 hours. Usually the next day a mere push will evacuate the milia through the little opening I made. If not, I open up a slightly larger hole and repeat the process. I do not find milia on my eyelids, but rather all over my face – 1 or 2 new ones per month or so. Seldom use any creams at all, and no oils, but do use hairspray and I have heard that that can cause some pore clogging build up. Wow, this sounds like a mini surgery. 😛 But good that you’re adept at it. Its was like right under my bottom eyelashes so it was hard to get to and definitely HURT! i really dont know how to get rid of mine he safest way. and i dont know whats he difference between a milia and cholesterol bumps. but since you mentioned about the eyecream. i just recently tried applying vaseline around it to moisturize it and new whitr bumps started to appear. what do i do now. You should stop using vaseline around your eyes. It contains petroleum jelly which is potentially pore clogging. Lecithin breaks down plaque deposited on arterial walls, improving vessel elasticity and blood circulation. It also helps raise good cholesterol (HDL-High density lipoprotein) while lowering bad cholesterol (LDL-Low density Lipoprotein) and triglycerides. It also shields against the damaging effects of homocysteine, an amino acid that may contribute to the development of cardiovascular disease. As a natural source of energy, lecithin increases zest and wellbeing effectively, not only for convalescents and dieters, but also for men with chronic fatigue and diminished vitality, which may be due to a shortage of lecithin in the seminal fluid. i read many more details this blog. Hi, i have been using cleanser to clean my face without facial wash since i have a dry and sensitive skin. How’s your existing routine doing for you? If there are no problems, why do you want to change? You are already using a facial wash–Cetaphil. And I noticed you pre-cleanse by removing your makeup. Both face washes & cleansers are used to rid your face of dirt, oil, pollution etc. A cleanser dissolves away excess oil, makeup and grime from your face. These are oil-soluble impurities. They can be removed by a face wash too, but that might be not be 100% effective. A face wash’s job is to remove deeper seated debris and also cleanse pores, thanks to its foaming action. If you’re wearing a lot of makeup, or have been exposed to a lot of dust and pollution, it might be a good idea to use a cleanser first, before using a face wash. The foaming action and micro-level cleansing of a face wash cannot be substituted by a cleanser alone. A face wash is the same as cleanser…just call it by different names. The difference is whether it is a cream cleanser, oil cleanser or foaming cleanser. Foaming cleanser does help to get rid of the grime and oil better but for some skin types, it can be too drying. Does the Salicylic acid work to get rid off milia? Maybe but if the milia is too close to the eyes, it could sting. I still can not quite think I could always be one of those reading through the important suggestions found on your blog.